Our stylists are specifically trained by UK childrens hair expert and cater for younger clients including those with specific needs and nervous children. We encourage you to read Marion's advice for your visit and listen to the advice your stylist gives you on arrival to ensure you have the best possible experience for your child. Please click on the adjacent button to access our easy to use online booking system, allowing you to choose the best time for you from our available slots from the comfort of your own home. You can alter these appointments when necessary by using the link on the confirmation email. ​ If your child has special requirements, such as being on the Autistic spectrum, please email us on marion@raspberryhair.co.uk to arrange a chat with Marion and she can talk you through the process used and how it will help your child cope with having their hair done. For party package enquiries please see our party page and send email enquiries to parties@raspberryhair.co.uk. Many thanks and we look forward to meeting you at Raspberry. 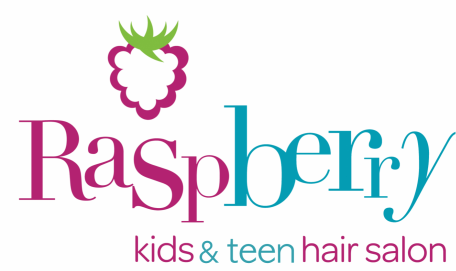 Marion Burns, UK children's hair expert, is resident, along with her specifically trained team, at Raspberry. Marion's specific techniques for cutting, distraction and language are fantastic for all children but especially helpful for those who are nervous or with additional needs. Please see Marion's advice for your visit for further information. We expect children to fidget and for some who do not want their hair cut, don't worry our stylists are specifically trained for this. Please see Marion's advice for your visit for further information. Cool for older kids & teens! For our older clients we have games consoles to entertain and for teens we have a separate area to do more on trend styles. Marion has been cutting many Raspberry teens hair since they were young and they just keep coming back, even one of our local pop stars! We have various different Raspberry packages to suit your requirements, Our packages create a full salon experience for your children. Hair put up or curled with added sparkle, mini makeovers, nails painted and catwalk shows are all part of the package experience . ​See our party package pages for more information! We also support Rays of Sunshine. This wonderful Children’s Charity brightens up the lives of seriously ill children in the UK, aged 3 to 18, by granting wishes, granting hospital ward wishes and organising outings and large scale events for seriously ill children.